Furman PS-8RE II Power Sequencer, All Furman power sequencers feature 3 delayed power groups for sequenced power up, reverse sequence for power down and 2 unswitched outlets. Also has overvoltage detection and mains filtering. The PS-8RE is a 10 Amp unit, has 3 groups of 2 IEC outlets, rear BNC for optional gooseneck light and 1 (unswitched) IEC outlet on the front panel. SMP+ (Series Mode Protection Plus) non-sacrificial surge suppression the most comprehensive protection available anywhere! Remote Switch: Momentary or maintained action. Remote Terminal: Screw terminals or Euro style pluggable. 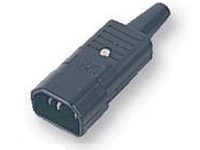 Terminal Block, 2 for switch, 2 additional for optional LED (22 ga. wiring minimum). Dimensions: 1.75” H x 19” W x 10.5” D.
Optional: 220/240V Versions are intended for use in countries with nominal 220 to 240 volt AC mains. 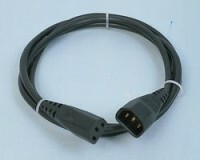 Their rear panel outlets use internationally accepted IEC-320 connectors. Safety Agency Approvals: NRTL-C, CUL, CE listed.